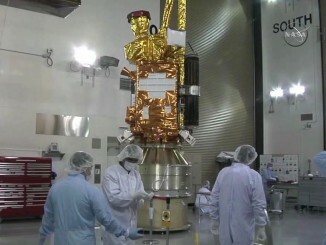 Deploying its marquee element in space Tuesday, NASA’s new Soil Moisture Active Passive spacecraft took a major step towards realizing its science potential. 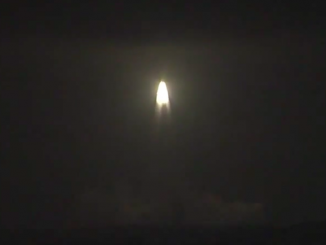 “We had a terrific ride into space aboard the United Launch Alliance’s Delta 2 vehicle. They deposited us exactly where we wanted to be with with accuracy and precision,” said Kent Kellogg, NASA’s SMAP project manager. 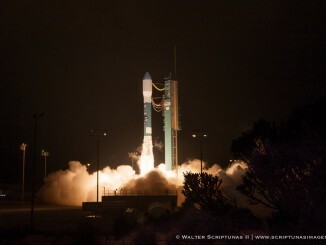 The United Launch Alliance Delta 2 rocket lifts off with NASA’s SMAP observatory at 6:22 a.m. local time on Saturday, Jan. 31 from Vandenberg Air Force Base in California. 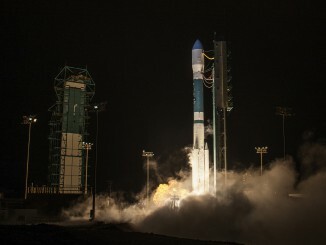 The United Launch Alliance Delta 2 was launched Saturday at 6:22 a.m. local time with NASA’s Soil Moisture Active Passive (SMAP) satellite from Vandenberg Air Force Base in California. 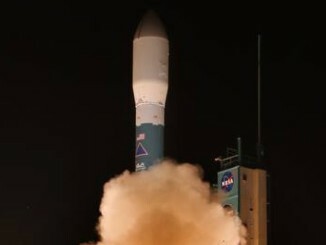 The ever-dependable Delta 2 rocket continued its flawless service to NASA and Earth sciences Saturday with the launch of a $916 million environmental probe focused on producing global maps of soil moisture from space. 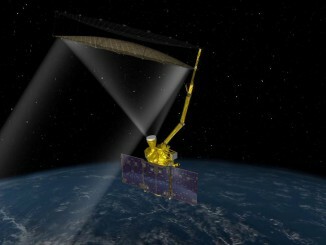 NASA’s Soil Moisture Active Passive satellite blasts off aboard a United Launch Alliance Delta 2 rocket Saturday, launching into orbit on a three-year mission to measure moisture levels in Earth’s soils. Narrated flow tapes of the United Launch Alliance Delta 2 rocket and NASA’s SMAP spacecraft for launch from Vandenberg Air Force Base. 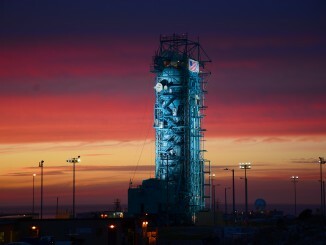 The mobile service tower is retracted from the United Launch Alliance Delta 2 rocket at Vandenberg Air Force Base in preparation for the first launch attempt of NASA’s SMAP spacecraft. 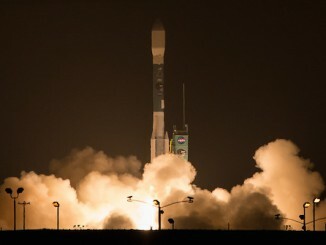 A Delta 2 rocket has lifted off from California’s Central Coast on Saturday with a NASA environmental satellite designed to improve flood and drought forecasts, map moisture in Earth’s soils, and track the planet’s water cycle.